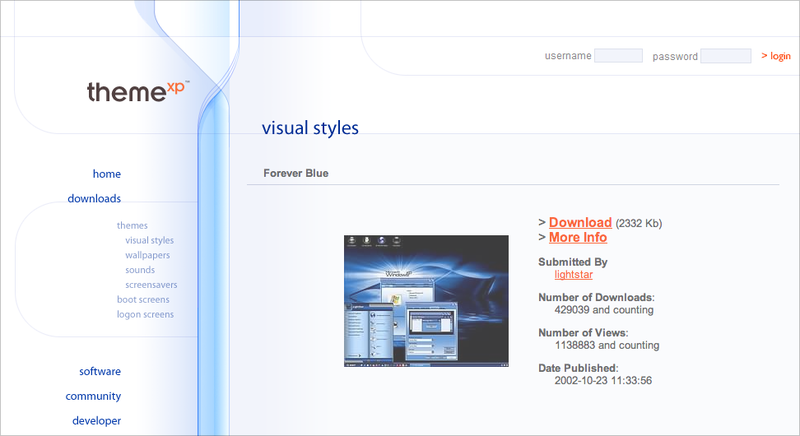 A website and community for Windows desktop themes. 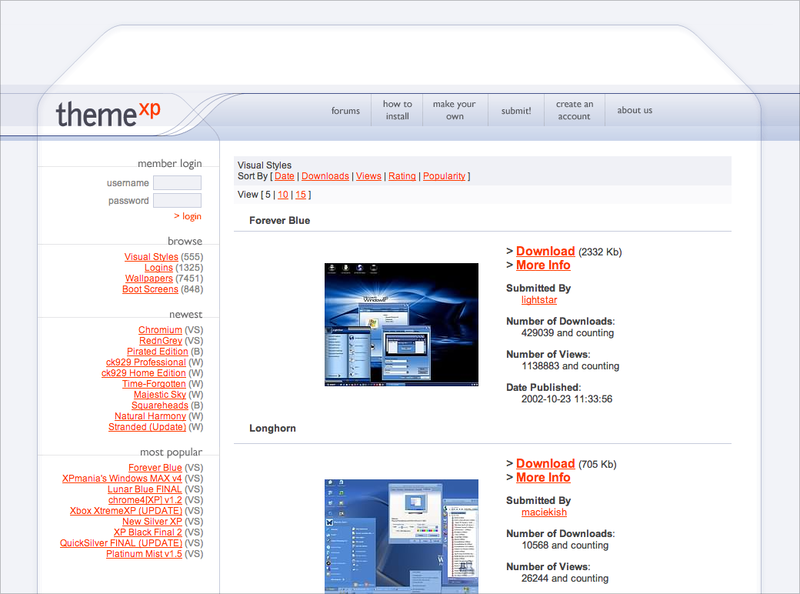 Visitors could build themes on the website that would auto-install on their computers. I worked on this with Greg Polins. ThemeXP was acquired by TGT Soft in 2003.